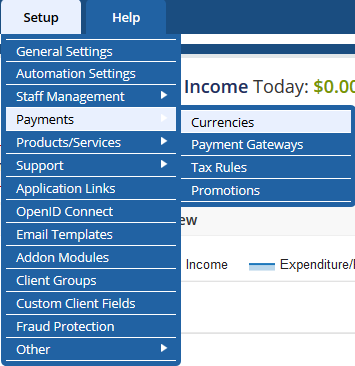 There may come a time when you will need to change the default currency of your WHMCS. This is not a setting that you change. You will need to modify the default currency row that has the Base conversion rate set to 1.0. Follow the instructions below as we demonstrate how to change the default currency from the US Dollar to the British pound. NOTE: A valid license for WHMCS is required to access the admin area of a WHMCS installation. Fortunately, a license for WHMCS is included with all of our Reseller Hosting plans. Want to learn more about WHMCS features? Be sure to check out our Reseller Hosting Product Guide. Hover over Settings, then Payments and then click Currencies. From the currency list, note the currency that has the Base Conv. Rate of 1.0. This is the current default currency. In this case, it is the US dollar (USD). Click on the Edit button. Enter the data for the new default currency. Note that the conversion rate cannot be changed from 1.0. Click Save Changes to save the changes. Click on the Edit button for the other currency. It will be the one without a conversion rate of 1.0. Enter the data for the other currency, in this case the US dollar and click on the Save button. Don't worry about the conversion rate just yet. 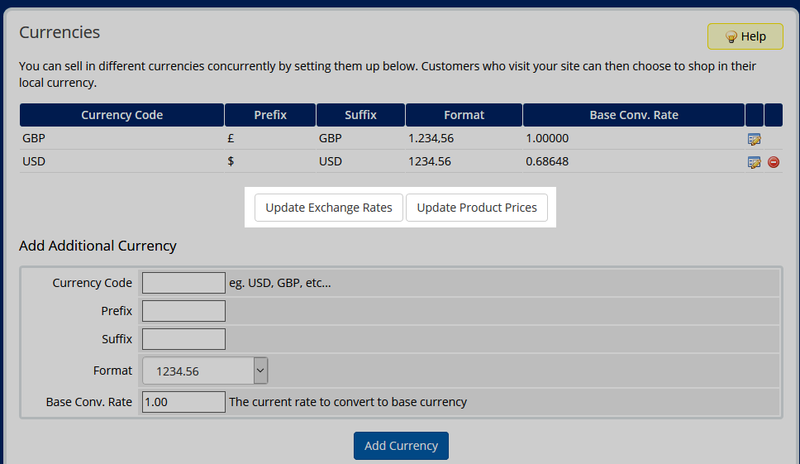 Now you can see both currencies in the list with the GBP set as a conversion rate of 1.0. This is now the new default currency. 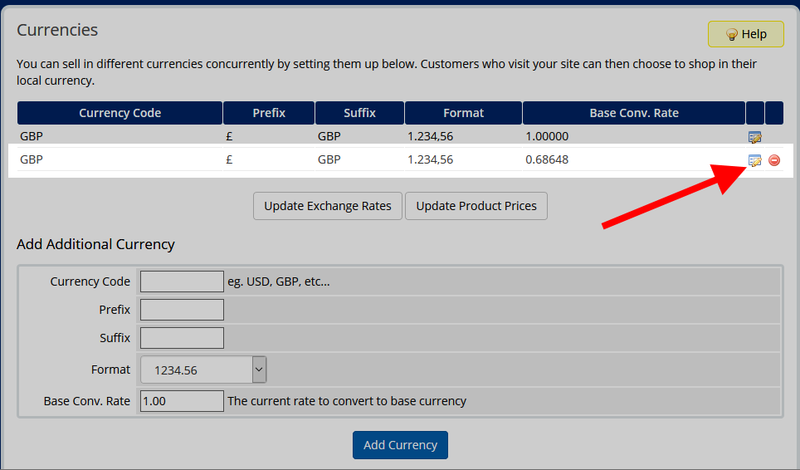 Click on the Update Exchange Rates button to update all other currencies to the new default and Update Product Prices to set the prices accordingly. Now the conversion rates should reflect against the new default currency.